Classics Today 10/10, highest rating: "A Beethoven experience you will not want to miss"; Gramophone: Editor's Choice April 2011. Yevgeny Sudbin made his sensational début on disc with a programme of sonatas by Scarlatti, but soon continued with recordings of music by later composers from his own country of birth, Russia. 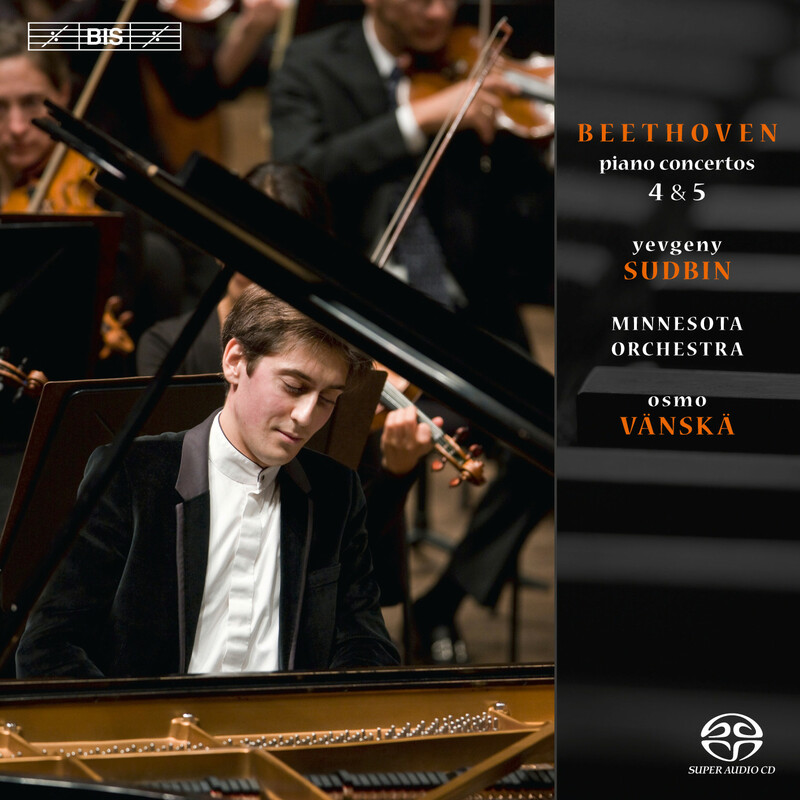 This acclaimed disc was described as ‘truly a class act’ by Classic FM Magazine; an act which Sudbin now follows up with the first disc in a series of Beethoven’s piano concertos. 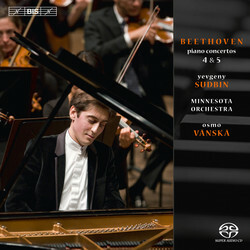 Opening with the composer’s final two works in the genre, Sudbin shares the stage with Minnesota Orchestra and Osmo Vänskä, a team whose Beethoven credentials are assured after their recent cycle of the nine symphonies – ‘unquestionably one the great Beethoven cycles’ according to the website ClassicsToday.com. If Beethoven’s first works in the concerto genre are indebted to Mozart, the composer had definitely found his own feet by the time of Piano Concerto No.4 in G major. This is evident from the very beginning of the work where, instead of the expected orchestral introduction, the solo piano enters, signalling the intimate and lyrical quality of the work. No less innovative is Piano Concerto No.5 in E flat major – by many considered the finest of all piano concertos. Giving the timpani an unusually prominent and crucial role, this work is majestic and at times even martial in character, something which in English-speaking countries has earned it the nickname ‘Emperor’.